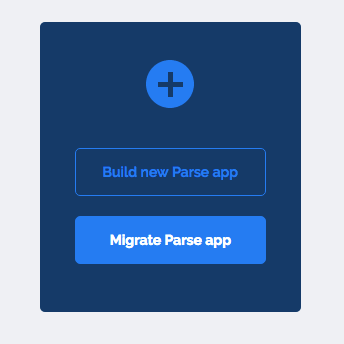 Now it is possible to migrate from Parse to Back4App all your apps in batch with just one-click. See how to do it bellow. 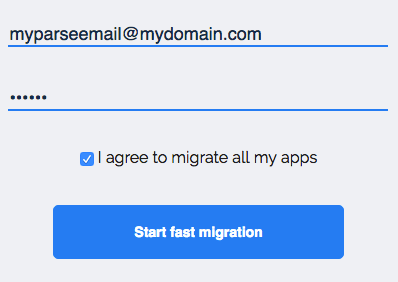 3) Inform your Parse.com credentials: email and password, check the box: “I agree to migrate all my apps”. NOTE: Back4App won’t save your credentials. We just use your data to do the migration. After that, you can check your app’s migration status accessing the Back4app Dashboard. At the end of the whole migration process you will be notified by email.